Cell Reports Paper now Online! 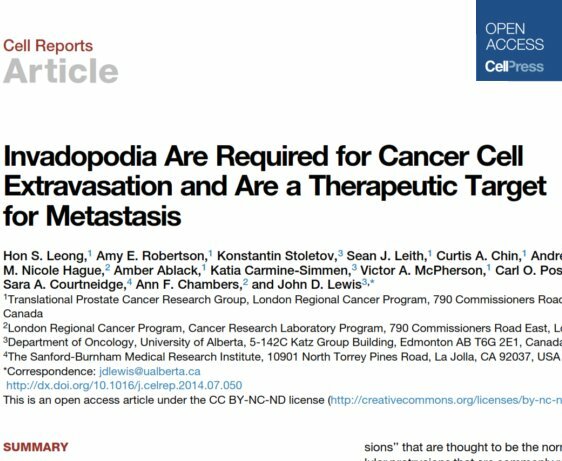 I’m pleased to post this announcement – our paper on invadopodia in Cell Reports is about to be published on August 28th, 2014. This is probably my biggest accomplishment during my post-doctoral fellowship. The vast majority of the research done for this paper was performed in London, ON. I’m very excited about finally sharing these findings with the rest of the scientific community. Ill be posting the weblink for this paper very soon. The great thing is that it is free!!! ← Welcome to Grad School Sabine Brett!